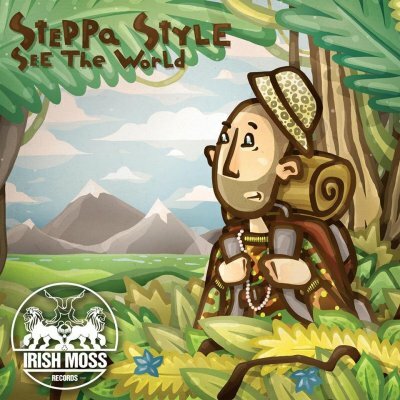 Steppa Style - Reggae & Jungle General From Moscow, Russia! Steppa Style is one of the first Reggae, Dancehall & Jungle artist in Russia who started making tunes in English and Patois. His style varies from Jungle to Dubstep but Reggae music is priority. In 2005 he became part of "Trudebwoiz Cartel" (DJ Kingston, DMC Powet and producer Mindlab) - a Russian, Moscow based sound-system and promo group, one of the first to play Jungle, Reggae and Dancehall music in Moscow and organize monthly Ragga-Jungle and Dancehall parties. They brought many famous artists to Moscow, such as General Levy, Demolition Man, Top Cat, Tenor Fly, Uk Apachy, Daddy Freddy to name a few. Steppa Style always wanted to represent the russian Raggamuffin culture around the world. In 2008 he performed at the Berlin Carnival alongside Selecta G (Seven Inch Soldiers) - one of the oldest German selectors. In 2010 he gained the title of "Best Reggae Artist of Russia" (DHQ version). In 2011 he hosted 2 big russian snowboarding festivals and performed in Switzerland and France. The same year he toured the Czech Repulic, Slovakiya and Poland together with "Wicked Sound". In 2012 he was on Steppin Outta Babylon Tour in India(New Delhi, Bombey, Pune, Nasik) alongside Reggae Rajahs sound, performed on Madeira island in Portugal, Vilnius and Uprising Reggae Festival in Slovakia.Steppa made a China Tour (Hong Kong, Guangzhou, Chongqing) Steppa is collaborating with many European Labels and Producers such as Dreadsquad (Poland), Viktorious (Sweden), Supersonic Sound (Germany), Infinite Records (France) and Soulove (Italy). He hosted many big festivals and battles such as IDA Russia in 2008 and Russian Beatbox Championship. He has performed in many Russian cities and all over Europe. Steppa is sponsored by "Code Red" and "GoodVibes" Brand With fire in his heart and energy on the stage Steppa is bringing a good vibe to each and everyone.